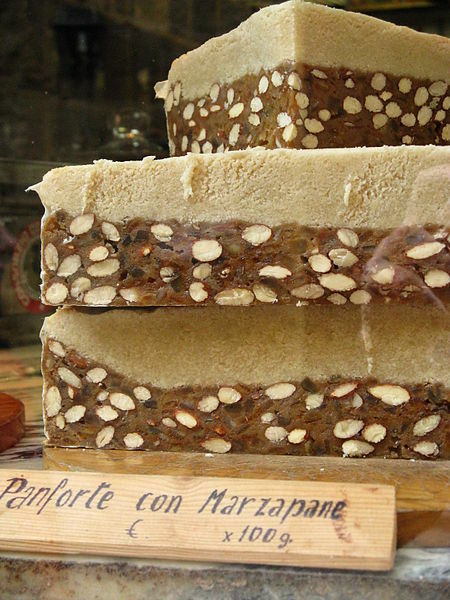 Welcome to Siena’s panforte among the Italian excellencies. 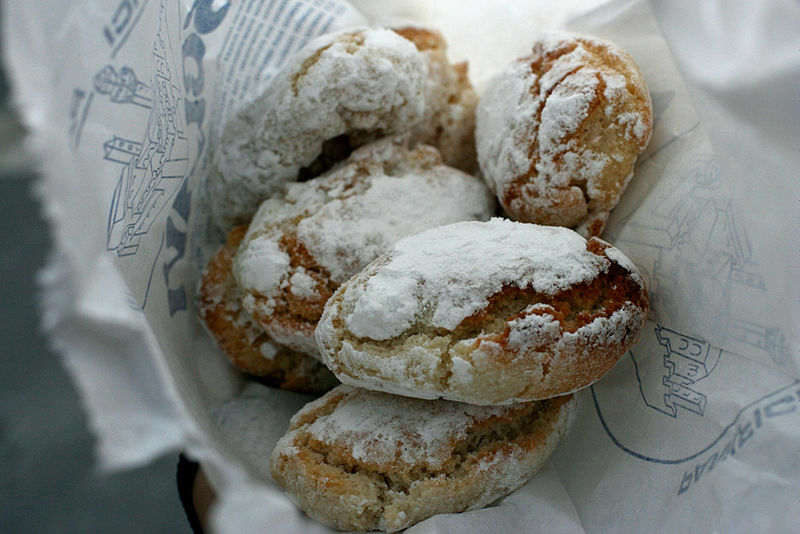 After the delicious almond ricciarelli biscuits, another sweet delicacy of this beautiful town has this week received the PGI label: the protected by geographical indication brand which confirms the genuineness and exclusivity of a traditional speciality. With this new entry in the PGI list, Tuscany has now reached a total of 26 specialities of the overall 251 products of the Italian survey. Tuscany, in fact, now has 5 extra virgin olive oils, 5 chestnut products, 4 cold meats and salami, 2 cheese, 3 meat, 1 cereal, 1 honey, 1 mushroom, 1 bean, 1 spice and finally 2 sweet delicatessens: the abovementioned Ricciarelli and Panforte, both of Siena. 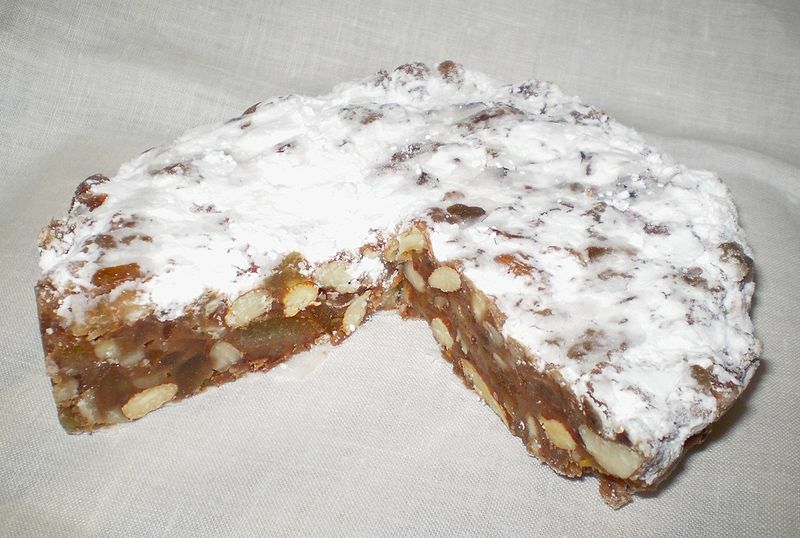 Literally, panforte means “strong bread” owing to the spicy pungent flavour of this dessert containing fruits and nuts. 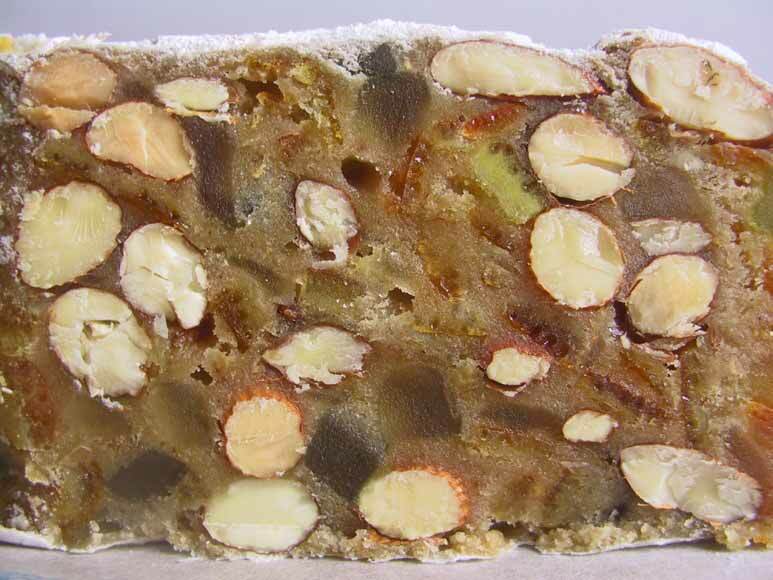 Dating over 750 years, documents of 1205 reveal that panforte was used to pay taxes to monks and nuns of a local monastery. Today you can find it all year round in Siena and surroundings, but traditionally in Italy it is a Christmas speciality and now comes in different types. Put the almonds on a baking tray and toast them in the oven for 10 minutes. Cut the candied fruit into small pieces. In a saucepan melt over a low flame the honey together with the sugar. Keep mixing so that it doesn’t stick to the pan. 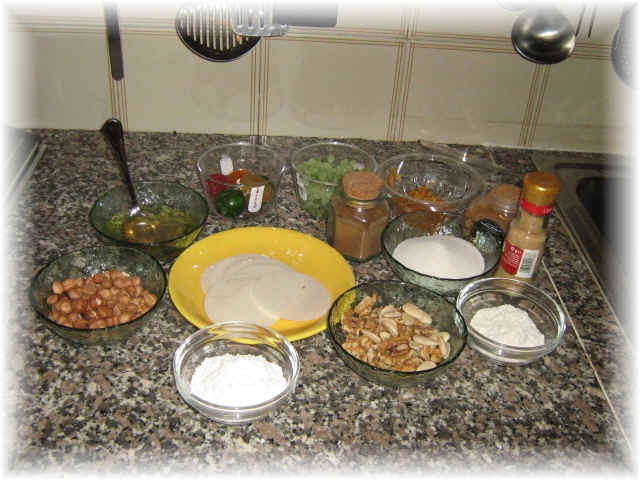 Once it gets a brownish colour take it off the stove and add the almonds, the flour, the candied fruit, the ground nutmeg, the pepper, the ground cinnamon, the cloves and the dried coriander fruit all previously crushed. Mix everything well. Cover the bottom of a round baking tin, preferably springform, with rice paper. Pour in the mixture, which should be 2 cm thick, and bake in the oven at 150 °C for 30 minutes. Once cool take the cake from the tin and dust with icing sugar. The cake must be served cold. 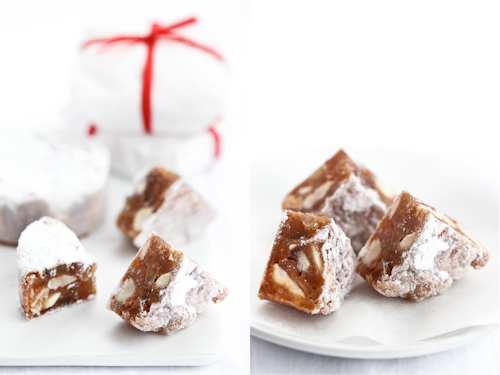 Enjoy a wedge of your panforte with an espresso coffee or a dessert wine. Questa voce è stata pubblicata in Tuscan food and wine, Tuscan recipes e contrassegnata con panforte, Siena, Siena delights, tuscan cookie recipes. Contrassegna il permalink.